. . . Well, the rain held up and some blue sky began to show, and I mounted on what I shall have to call my Anne of Cleves — for, in the choice words of that first of gentlemen, Henry VIII, she is “a great Flanders mare” — and rode forth for a little exercise. Verily I conceived we should rester en route, sich was the mud in one or two places! She would keep going deeper and deeper, and I would strive to pick out a harder path and would by no means succeed. Nevertheless, I made out to find some terra firma, at last, and, by holding to the ridges got a very fair ride after all. I found not much new out there, towards the Jerusalem plank: some cavalry camped about, as usual, and a new railroad branch going to supply them, and called Gregg’s branch. Gregg, by the way, has resigned. 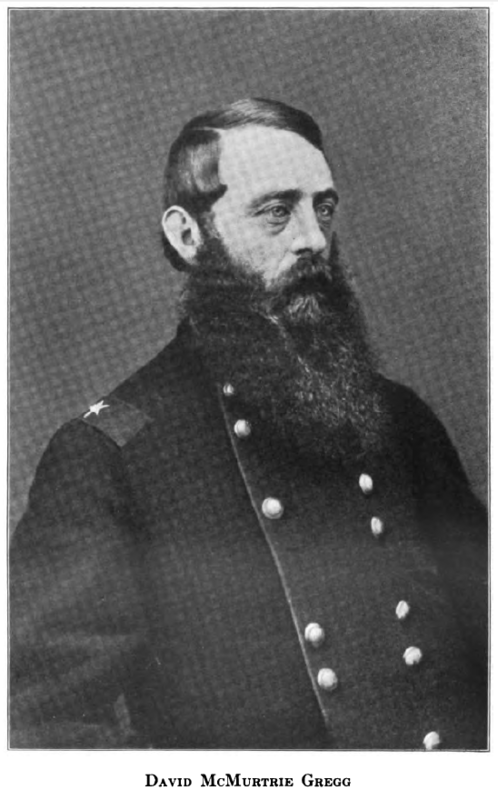 He is a loss to the service, and has commanded a cavalry division very successfully for a long time. I don’t know why he went out, since he is a regular officer. Some say it is a pretty wife, which is likely, seeing the same had worked in that style with others.